WE MUST FIGHT THIS COURTROOM FRAUD BEFORE WE CAN GET JUSTICE. IT MUST BE EMPHASIZED STRONGLY THAT NO PURCHASE OFWHITCHURCH HEATH COMMON CL21, OR THAT OF ITS AKA PREES HEATH HAS BEEN CONVEYED, THERE ARE NO PRE REGISTRATION OF TITLES AS WAS CLEARLY DEMONSTRATED BY JUDGE EDDEN WHEN HE ORDERED DISCLOSURE WHICH BC DID NOT COMPLY WITH, AND THE STATEMENT FROM SOLICITORS STONE KING, ACTING FOR EMPLOYEES OF BC WHICH STATED THAT "HIS CLIENTS DID NOT HAVE ANY PRE-REGISTRATION OF TITLES", BENT COUNTY COURT AND BENT CROWN COURT CIVIL JUDGES, ABUSING THEIR POSITION/OFFICE GAVE JUDGEMENT TO CORRUPT COUNCILS, BUTTERFLY CONSERVATION AND NATURAL ENGLAND, THAT'S HOW AND WHY THEY CAN GET AWAY WITH FRAUD. - In the matter of Whitchurch Heath Common in Shropshire, the applicants do not have any locus stan-di, and cannot obtain any, lawfully. - To issue consent to any applicant, after blatantly refusing to examine the applicants claims, is abuse of office and of failure to disclose information. The main difference between the two types of conveyancing Registered or unregistered concerns what is known as “proof of title”, if the land is unregistered the person/s claiming to be an owner will have to prove title by showing the would-be purchaser the documentary evidence which shows how he/she came to own the land and property, It is compulsory throughout England and Wales to register land. Making enquiry’s to the local authority’s to search the register for any planning restrictions i.e. easements or covenants on the land stipulations which give rights of way, or *planning consideration’s*, whether there has been any breach of restrictions affecting the property. All planning officers claim a right to give consent to all applications for development on common land, sometimes it is given through ignorance or abuse of office, yet it seems seldom do they put up a stop notice, or institute a reversal of decision, where it is seen that the development is in breach of Parliamentary legislation,(fraudulent claims). Well it might be they can give approval, but common sense should prevail in instances where common land or other public open access is of prime importance, also the natural phenomena of these open spaces is just as important. The other fundamental necessity where common sense should prevail, is when applications for development of such open spaces by the applicants is made, 1, do they have ownership with pre-registration of titles, or 2, legal tenure rights of occupation because in the matter of Whitchurch Heath Common in Shropshire, the applicants do not have any locus stan-di, and cannot obtain any, lawfully. The county council of Shropshire, because they will not, and cannot register the common, using the alleged (fraudulent) documents themselves, allow impostors to claim rights to ownership of the common land, show total negligence of their paid remit of “searching” the register of common land ownership. Therefore to issue consent to any applicant, after blatantly refusing to examine the applicants claims, is abuse of office and of failure to disclose information. Says Professor Christopher. P Rodgers, professor of law, Newcastle University director of research LLB (Wales) 1977 LLM (Cantab) 1978, solicitor of the Supreme Court 1981, teaching Planning law and EIA European Environmental Law and Policy. 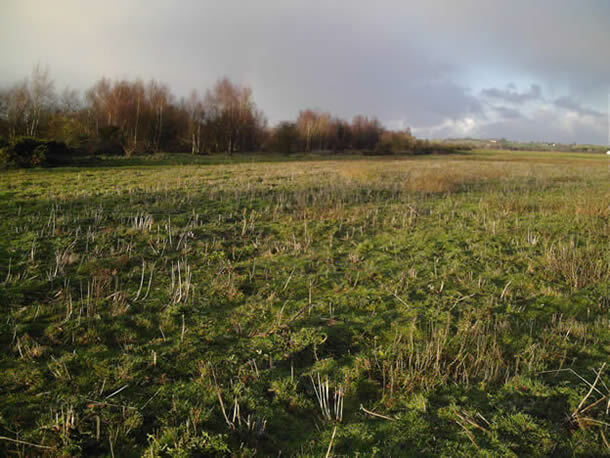 Common land has considerable environmental significance and a potentially key roll in the delivery of the UK government’s overall strategy of improving the environmental quality of wildlife habitats in England and Wales. Common land has a unique legal status, establishing schemes for the conservation management of sensitive habitats and landscape of common land is complicated by the un-usual of property rights in commons. The management of commons, substantially re-enacted by the 2006 commons act for the *governance* of commons based on a “self- regulatory management” code of practice. This is an integral, and important, element not only of the governments strategy for improving the protection of wildlife habitats but also for implementing the EC directives on wildlife, including the habitats and species directives of 1992, this examines the new law on environmental management of the 2006 commons act. NOTE: THESE COMMENTS DONT JUST APPLY TO WHITCHURCH HEATH COMMON, THEY APPLY TO ALL COMMONS, ESPECIALLY TO ALL SECTION 45 COMMONS.